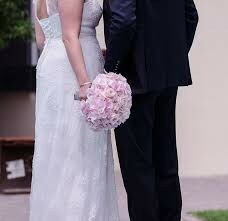 No matter how much time you spend in planning the perfect wedding and hiring the right wedding officiant Oklahoma, when it comes to finalizing your guest list, there is always the chance that you may have a few uninvited guests show up. Wedding ceremonies always have a wedding crasher of some sort. Whether it’s a family member you rarely met, an ex, or a stranger who is looking for a free meal and drink, here are some ways to help you deal with wedding crashers at your event. Instead that you go after the wedding crasher yourself, ask someone to take care of the situation. You should be up there having the time of your life as the wedding officiant Oklahoma City pronounces you husband and wife. If you do spot a person who is crashing your wedding, let someone know that there is a wedding crasher and that they should be asked to promptly leave. Before the wedding officiant OKC starts the ceremony, ask the venue manager who should be contacted if any security concerns come up. This way, in case if there is a problem, you know whom to contact. In case if there is no security and the wedding crasher is being obstinate, it may be the right time to call the authorities. If the wedding crasher simply refuses to leave and is spoiling your big day, do not hesitate to call the big shots. Assign a team the responsibility of handling this situation discreetly so your guests do not become startled when the authorities show up. After you have the wedding crasher leave your wedding, you need to make sure they don’t sneak back in. Assign someone to keep a watchful eye in case the wedding crasher suddenly comes back. This way, there will always be someone on duty so you can focus on the wedding officiant marrying the two of you without having to worry about the wedding crasher coming back. In the end, the best strategy you can use is to just ignore them. It you big day. Do not spoil it just because a few wedding crashers decided to come to your wedding.